Additional information and interesting facts about subjects relating to every major Egyptian Deity worshipped by the ancient Egyptians. The Egyptian deity list provides access to comprehensive facts and information about the major deities worshipped by the ancient Egyptians. The Egyptian deity list continues with pictures of each of the gods as a good identification guide to the different ancient Egyptian deities. Ammit - Ammit "Devourer of the Dead"
The A - Z Egyptian deity list provides access to interesting facts and information about each major deity worshipped by the ancient Egyptians. The Egyptian deity list continues with pictures of each of the gods as a good identification guide to each main deity and the different ancient gods and goddesses. Discover fast, interesting fun facts about each major Egyptian Deity worshipped by the ancient Egyptians. Facts and information about every ancient Egyptian deity for kids with some amazing, cool and quick information about the gods and goddesses of ancient Egypt and Egyptians. The Egyptian deity A - Z list is ideal for children, homework, schools, teachers and kids of all ages! Find fascinating fun facts about every major Egyptian Deity. Interesting, fun facts about each major Egyptian Deity for research, schools, students and kids of all ages. 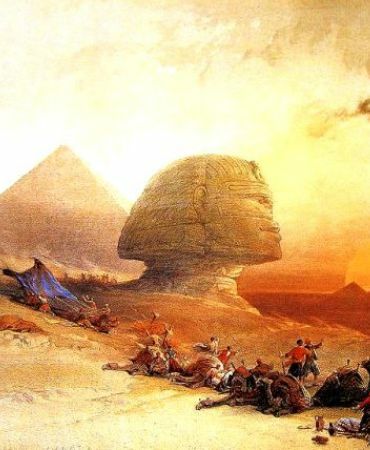 Learning about the ancient Egyptians and each major Egyptian Deity inspires everyone to visit historical sites and undertake Egypt Travel and Tours to experience the wonders of this magical land at first hand. Many people choose to experience a tour of Egypt on a Nile Cruise stopping at the famous destinations and sites of Egypt such as the Pyramids of Giza and the Great Sphinx. Wonder at the Temples of a major Egyptian deity. The information and facts about each major Egyptian Deity will provide with a great insight into Egypt and the legacy of the ancient Egyptians and each Egyptian deity. Enjoy a great vacation or holiday with Egypt travel, Egyptian tours and River Nile cruises visiting the Land of the Pharaohs and the Temples of a major Egyptian deity.